Swallows and Amazons welcome here! It is surrounded by more than 12 acres of grazing land, with an extensive range of outbuildings, fishing on the River Nidd, and a holiday cottage that offers a lucrative income stream. 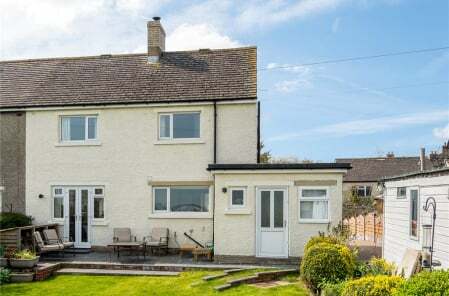 The ground floor of the farmhouse has a large central sitting room, library, billiard room, contemporary garden room, downstairs cloakroom, utility room and well-appointed breakfast kitchen complete with granite work surfaces and Aga. Upstairs there is an impressive landing with feature stone mullions and exposed beams, a study area, house bathroom, a large master bedroom with en-suite and a further double bedroom. Outside there is a detached garage, separate store and large barn. There are also a range of feature gardens, patio areas and woodland surrounding the property. 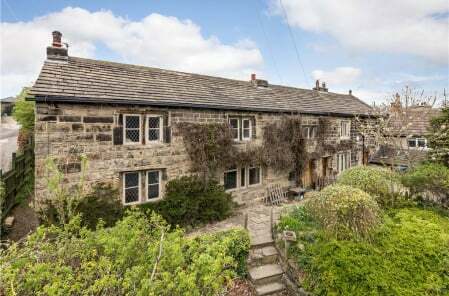 Low Fold Farm, which dates back to the eighteenth century and is mentioned in the Nidderdale Museum, was bought by current owners, the Hainsworth family in 1992, who had connections to the area after their father was evacuated to Pateley Bridge during the war. They immediately embarked on a major extension and renovation scheme, which included restoring the property’s original mullion windows, fireplaces and a sunken dairy. They also added a wide range of modern technology including solar panels, an air circulation system and high quality insulation. 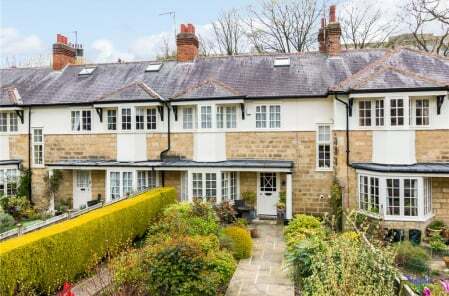 A member of the Hainsworth family says: “When this property came up for sale, it was a fantastic opportunity but it required a huge amount of work. The farmhouse’s stone flooring was laid directly on the soil below without a damp course and a lot of its original character features had been covered up. Ashley Phillips from our Pateley Bridge office, says: “This is a special property in a stunning Nidderdale location, surrounded by idyllic countryside, great views and scenic walks with the River Nidd flowing along the boundary down below the main house. The cottage generates an income, as well as having the potential to develop the barn or reconfigure the property subject to necessary planning consents, which makes it a superb opportunity for any buyers looking for a standout country home. Low Fold Farm is priced at £1,150,000 and further information is available by calling our Pateley Bridge office on 01423 711010.